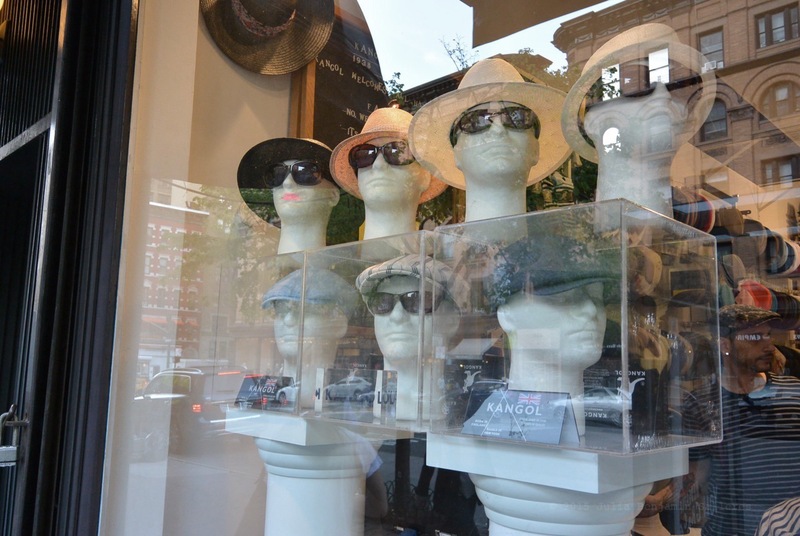 To see a hat shop in New York City is unusual. Drugstores, banks and Starbucks are on every corner and Duane Reade’s savvy real estate strategies turned them into one of the most successful businesses here. 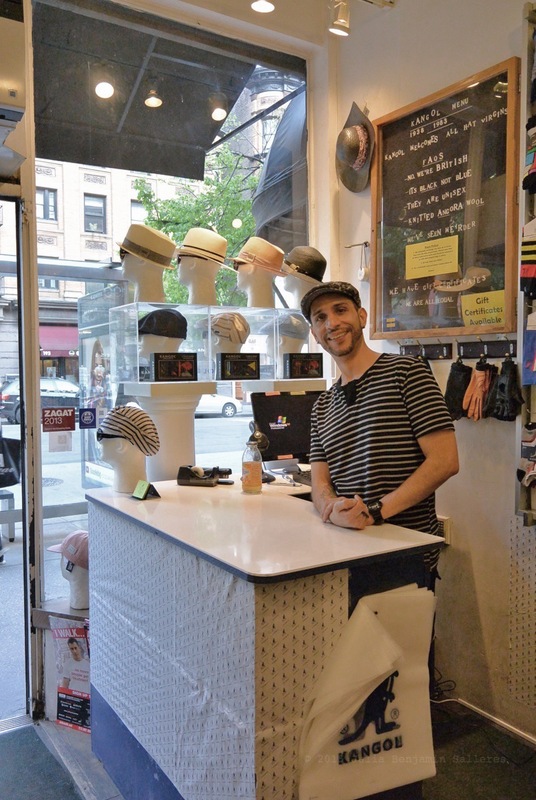 Not able to afford the high rents, too many mom and pop shops have closed, but on Columbus Ave. there is a small hat shop that sells Kangol hats. The shop has been there for 13 years. Sunday I was passing by and took a few pictures. There was a lull in customers which gave the salesman Louis and I a chance to reminisce about old New York. Louis was a child in the 1960’s and told me his favorite memories were hanging out with his grandmother in Brooklyn where he grew up. 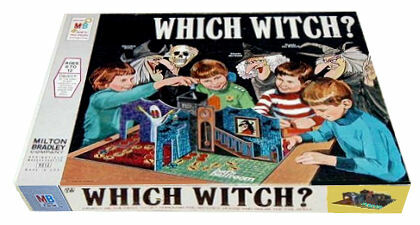 She would take him to Woolworths and he remembered a board game he loved that she bought him there called “Which Witch”. Follow Kangol Columbus on Instagram @KangolNYC. § 3 Responses to Hats. Great profile post, Julia! Louis is adorable. Did you make any purchases? I’m digging the straw hats in the front window. So many choices! He’s such a sweet guy — a real New Yorker. Thank you Theadora. 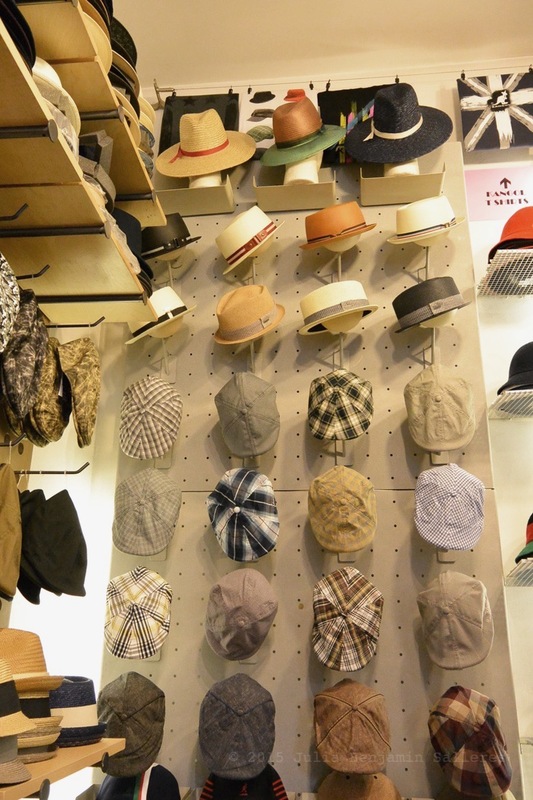 Any hat store can be my paradise; as I have ‘hat fetish’ – I just love them!! « Hell Yes! Bra Sized Swimwear Lovingly Made In America | Window Display. You are currently reading Hats. at Women's Footwear in America.